Creatures must adapt to these warmer winter temperatures. 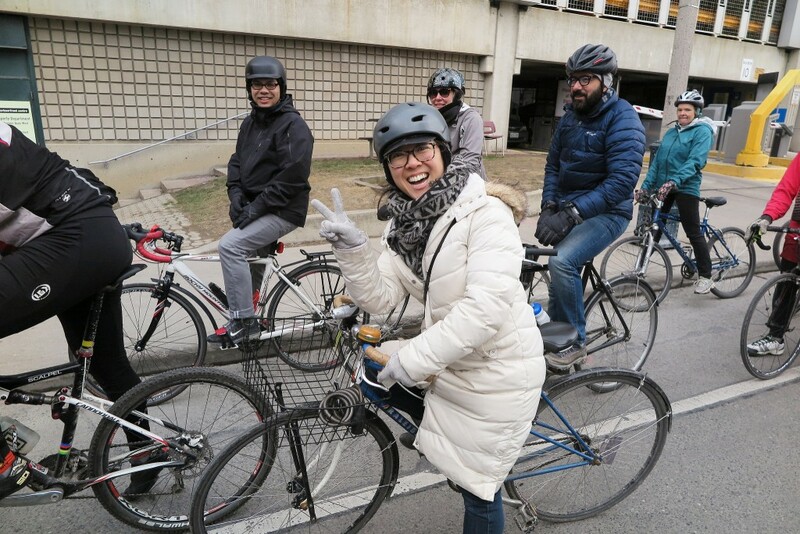 Some birds don't migrate anymore, fish are dying, turtles are turning up in weird places, but hey, it’s not all doom and gloom, some creatures are thriving: The population of the urban cyclist steadily grows as this overall trend of warmer winters continues (obviously, not including last year). 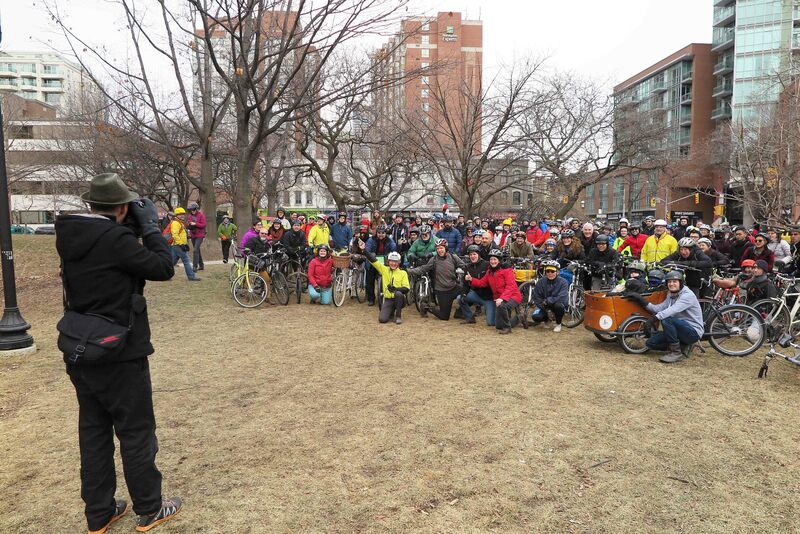 The ride began in 2008 and often features bike-friendly councillors and advocates making inspirational speeches. 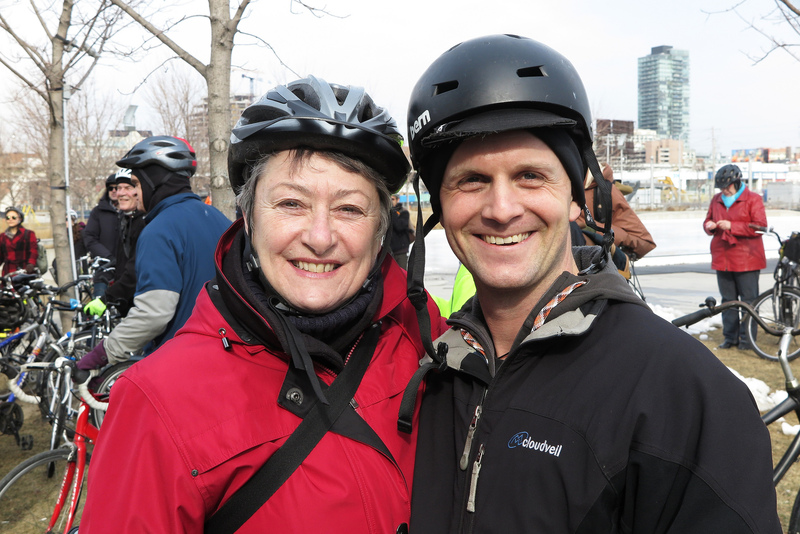 This year’s event welcomed Councillors Joe Cressy (Trinity-Spadina), Mary Fragedakis (Toronto-Danforth) and Janet Davis (Beaches-East York) and featured Jared Kolb of Cycle Toronto. 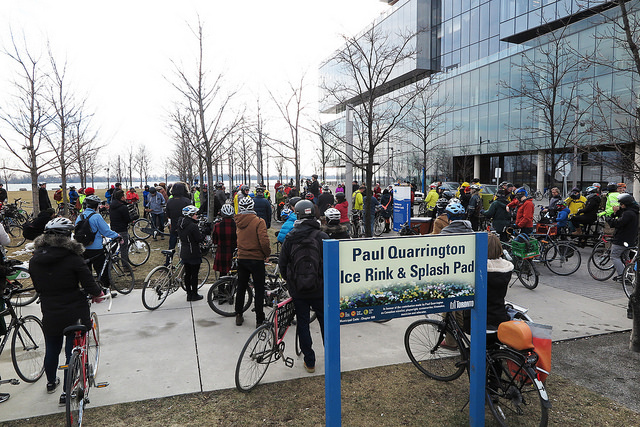 About 200 people showed up for the fun, family-friendly group ride. The big story for the dailies should be the big turn out. 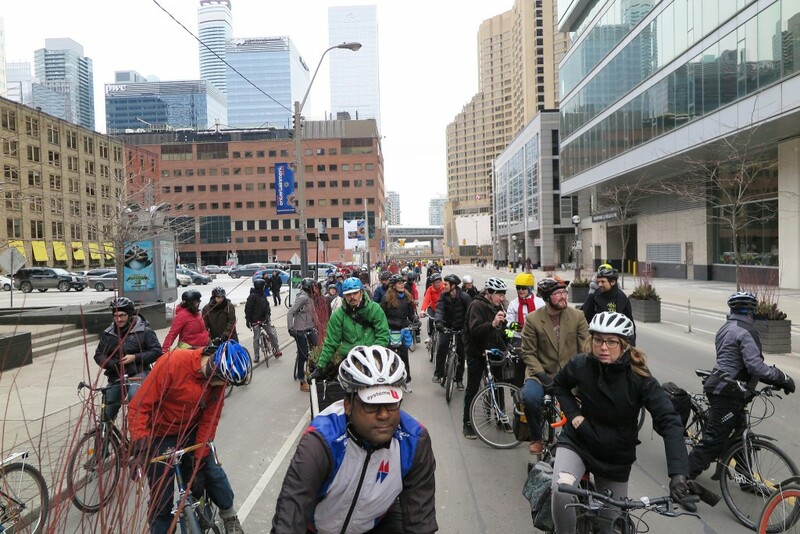 Winter cycling is very popular in Toronto. That is why, in part, the City finally had to agree to clear bike lanes of snow. (So far this year they haven’t really had to put the rubber to the road - or the blade to the pavement as it were.) 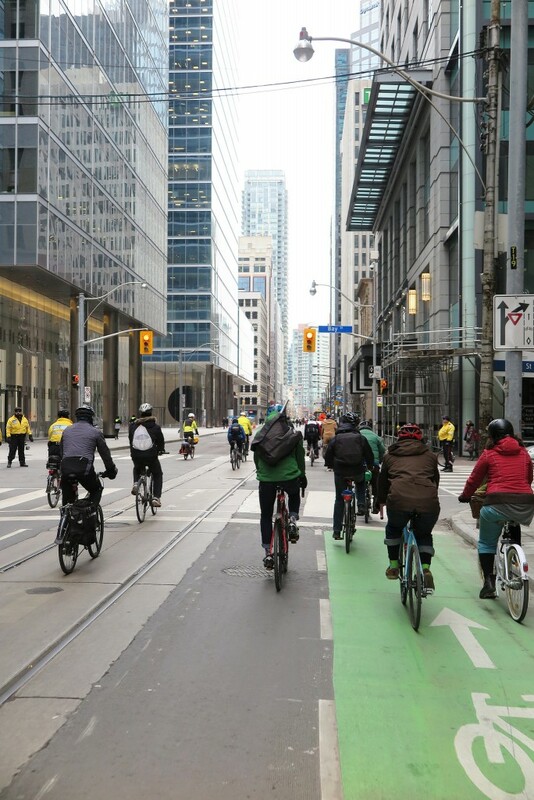 The solution to making winter cycling more comfortable is the same solution we need for all seasons: We need bike lanes that are connected to each other in a grid — that the City can then do it's best to clear of snow and maintain to a safe standard for practical year-round use. 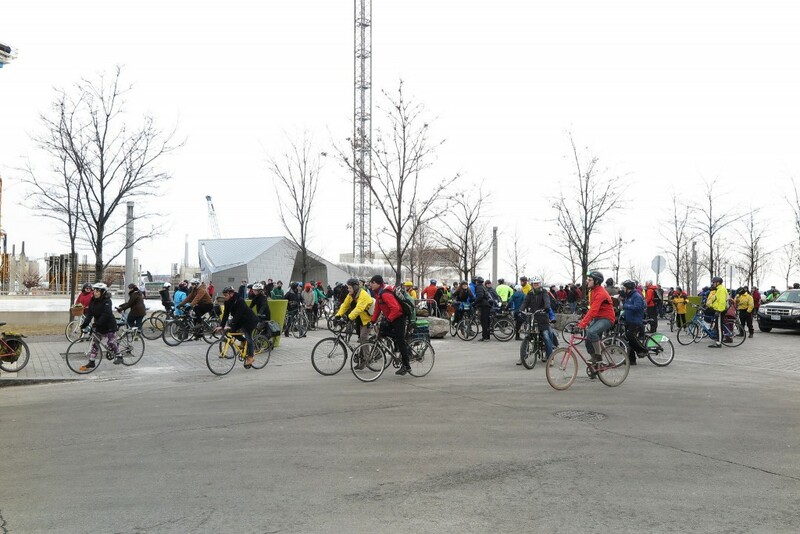 The Coldest Day of the Year Ride has been very popular in the last few years. 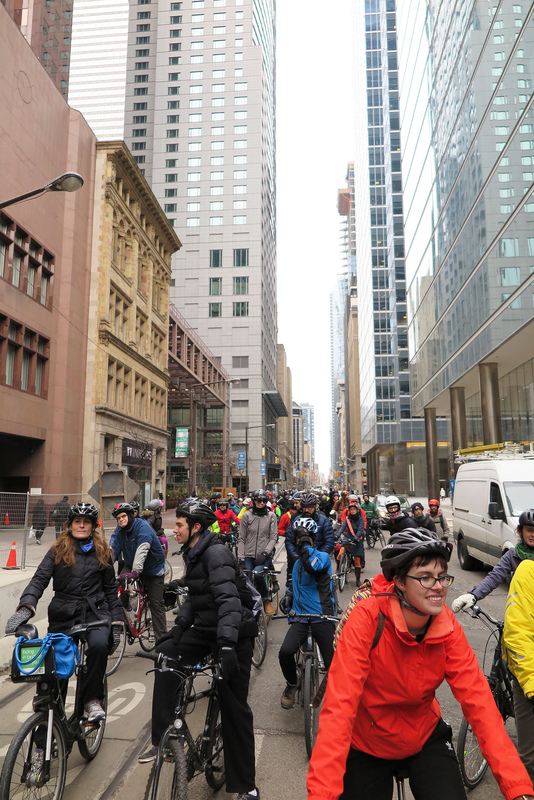 There were over 100 cyclists in 2015 and 2014, even though the climes were much harsher. Although those snowflakes did make for pretty pictures. Check out these pretty pictures below from this year’s sunnier ride by Yvonne Bambrick. Her entire set from the good vibes ride can be found here. What a great turn out! Yvonne captured Martin "Tino" Reis getting the shot. Councillors Davis and Cressy like bikes. 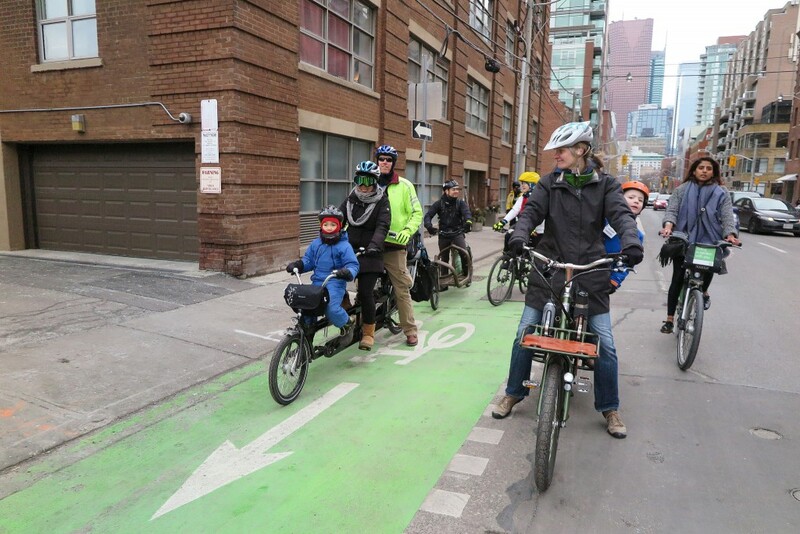 Cressy is a strong supporter of bike lanes on Bloor. 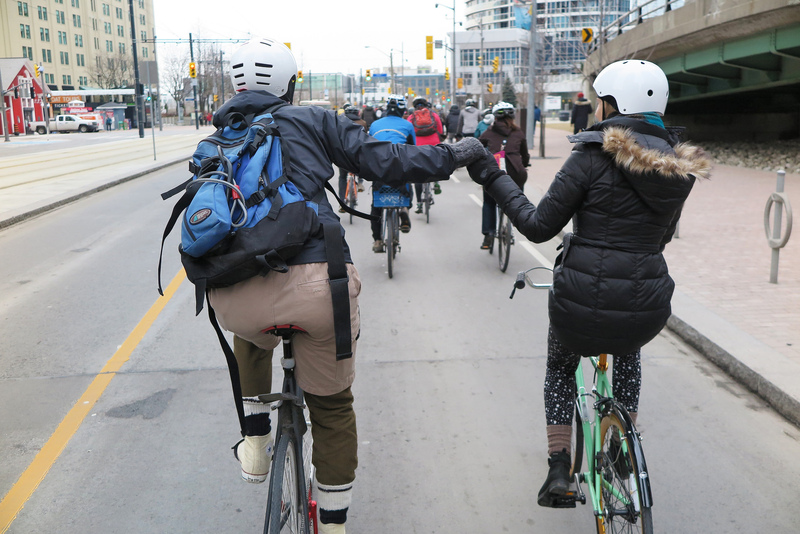 Hyedie (Cycle TO Ward 18 advocacy group) is always spreading the peace and (bike) love! 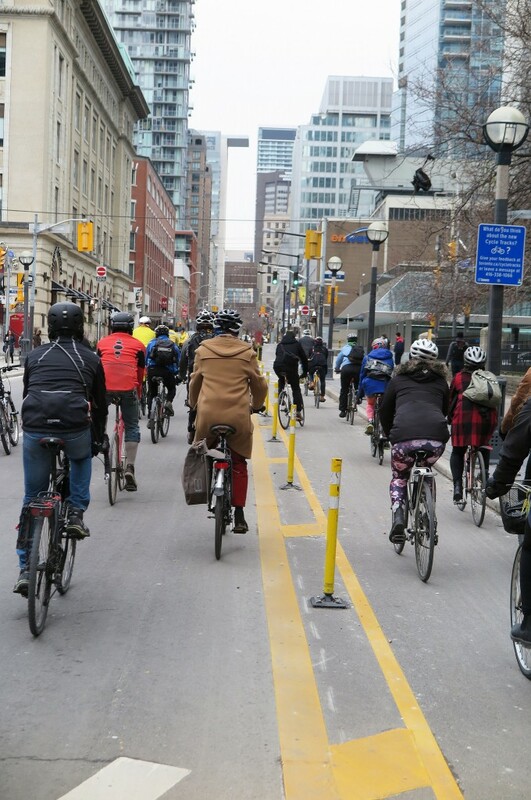 100s of cyclists and some beautifully buffered bollards seen above, during the City of Toronto's Coldest Day of the Year Ride on January 30, 2016. Councillor Fragedakis above, far left, used Bike Share for today's fun. 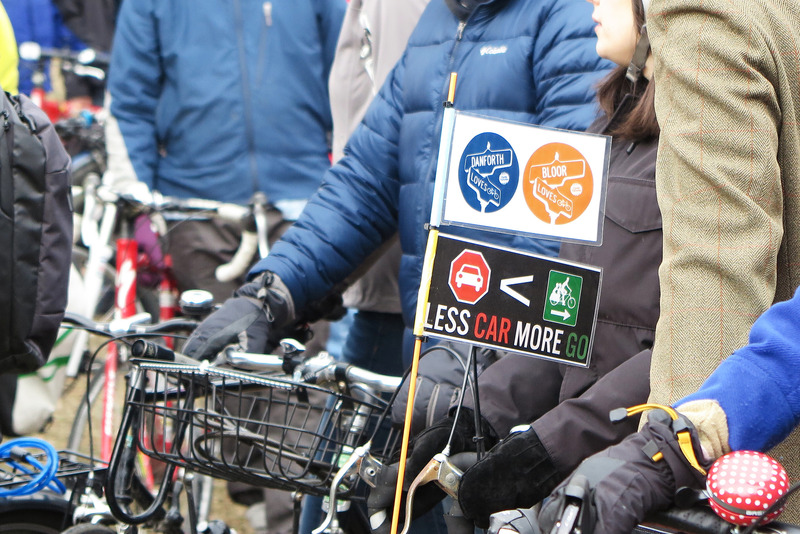 A sampling of sweet signage: Danforth loves bikes. 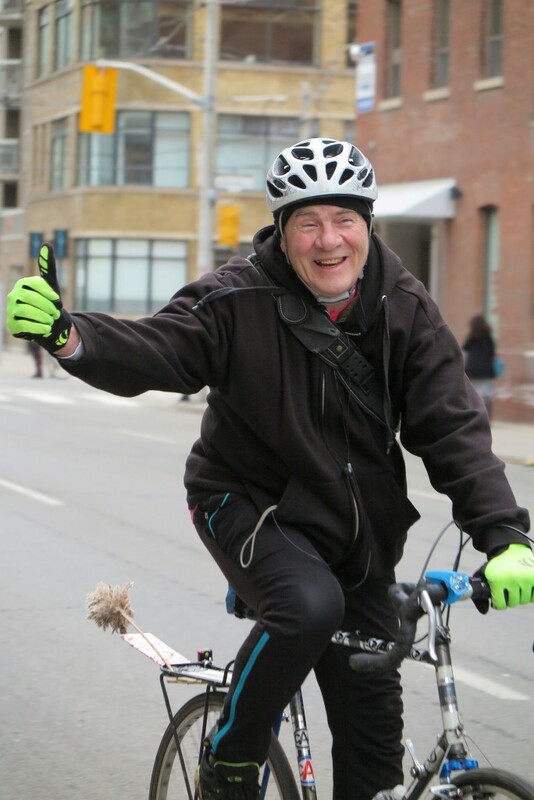 Bloor loves bikes. Less car more go. The sentiment of the day. 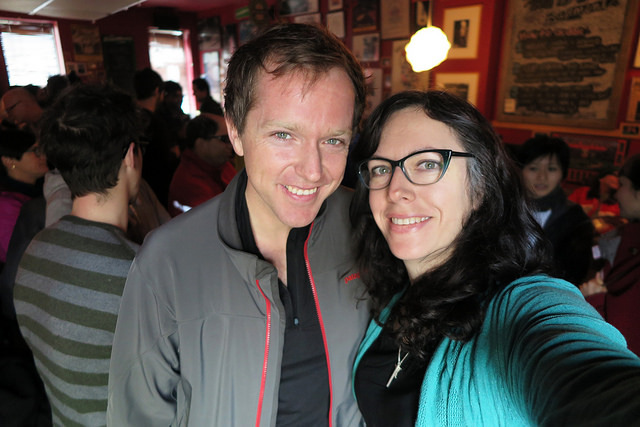 The photographer (also former Cycle Toronto executive) Yvonne Bambrick with Cycle Toronto's current executive director Jared Kolb at the groovy after-ride festivities.